The South Lodge hotel is a breathtakingly beautiful Hotel and from moment turn into the driveway, you are met with a stunning vision. The beauty and grandeur of this special place continues inside, it is easy to see why so many weddings are held here. You are treated like a princess, all the staff are helpful and attentive from the moment you arrive until you leave. Our bedroom was classically stylish with many modern touches. Next to the beds lays a light switch box, that enables you to set the lighting to create any mood you wish without even leaving your bed. They even have night lights in case your little ones don’t like sleeping in the dark. Our room was decorated with wooden panelling that continued to the well lit walk in wardrobe and my favourite, the wooden window shutters. The beds are divine and absolute perfection, which guarantees a restful sleep. The ceilings were tall and partially decorated with stylish wallpaper. Not to forget an array of coffees, fluffy towels, soft dressing gowns, a huge walk in shower and a TV next to the bath allowing you to enjoy your favourite show and a deep bubble bath at the same time. This wonderful hotel certainly has thought of everything you may need, before you have. The South Lodge Hotel are family friendly and go out of their way to ensure your little ones feel welcome too. On arrival we found specific baby bathroom products, colouring pencils and even a cute little rubber duck for bath play. But oh my the chef, he or she has created a well cultivated and delectable menu to make any foodies mouth water. From the delicious home made bread, to the flaky fish and stunning cauliflower starter. It is a guarantee that you will be thinking of the food you enjoyed long after you ate it. Some hotels have great service and perfect rooms, but lack on the food. 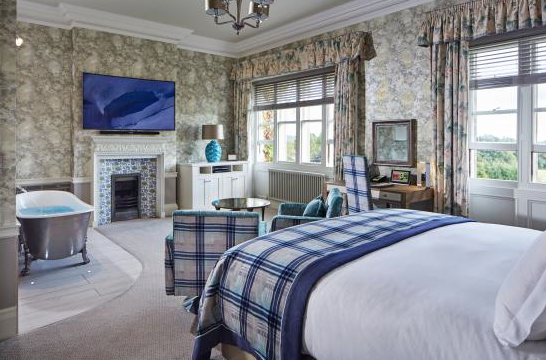 This can’t be said of the South Lodge Hotel as everything is on point and we can’t recommend it enough. Instead of the usual door sign, the hotel provides a cute little fluffy toy sheep as a do not disturb sign and you can order room service directly from the iPad in your room. These are just some of the ways this magical hotel make your stay relaxing and special. If you are coming as a family, we recommend the spectacular family room. The stunning decor carries on to the bar and restaurant. This hotel certainly stands out as one of one of our all time favourites. It is the perfect setting for a romantic weekend, a lovely break for families and a great stay for a girls weekend. We can guarantee you will create beautiful memories in this luxurious hotel and will want to go back to create more. 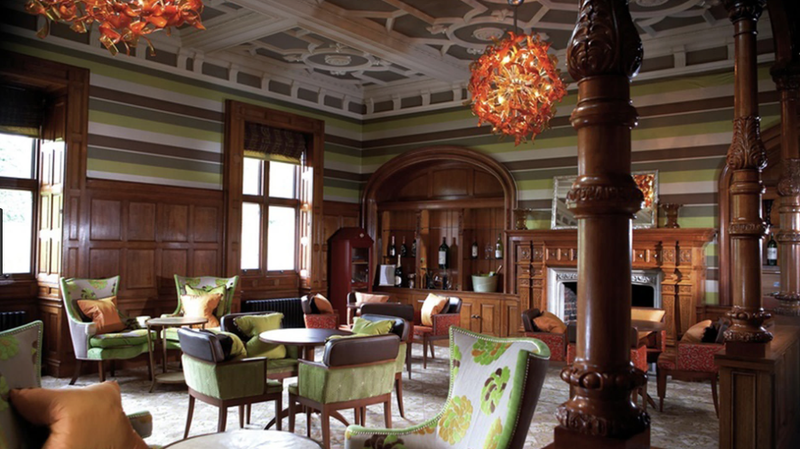 A very well deserved all round 5 stars for the South Loge Hotel in Sussex.